"Three cepages which complement each other to give us this wonderful vintage. This great terroir is made of limestone and clay soils, facing south, the white blinding of limestone Agel gave us some wines full or great energy. 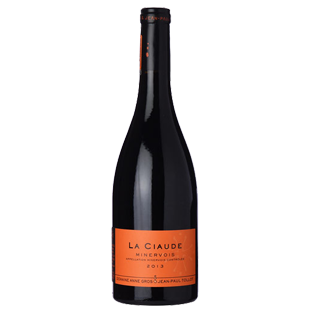 These fine wines, which benefit from careful maturing in barrels, are superbly silky, combined with concentration and mineral persistence full of finesse. It is the magical combination of a burning sun and cool soil, from where, deep within, the water draws the water it needs. Early and steady maturity, lovely acidity. "